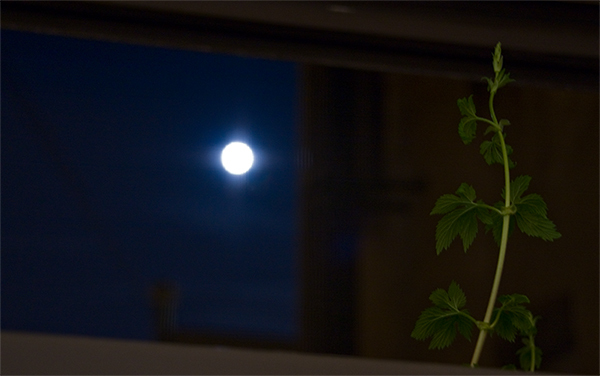 I have begun an experiment in apartment hops growing. 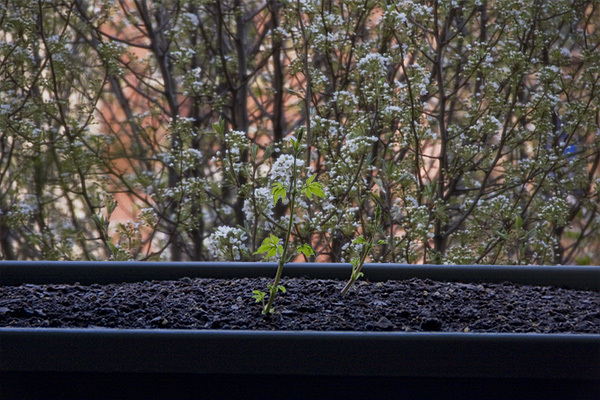 In New York land is hard to come by, so I am growing a single rhizome of Centennial hops in a planter in a window of a 4th floor walk-up. It’s an East facing window, with a 27″ x 12″ planter. The hops were planted a couple weeks ago and have been showing some nice growth so far. Here are a couple of images taken recently.